Evening arrives this past Tuesday as I’m getting ready to leave work for the day. 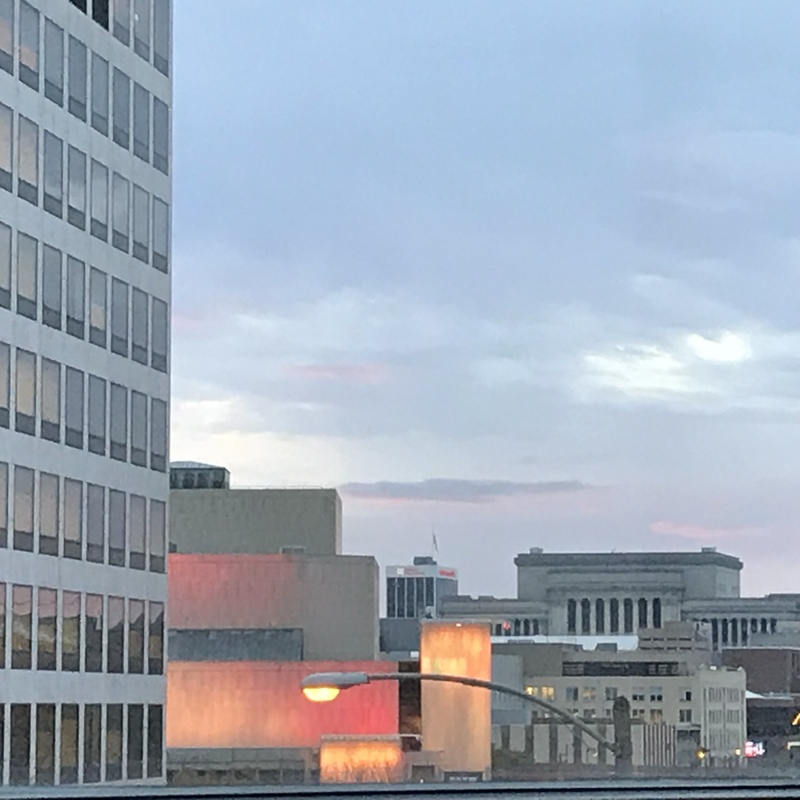 Taken from the staircase landing between the second and third floors of the Grohmann Museum looking west toward the Marcus Center (colored lights) and the Milwaukee County Courthouse (classical pillared building at right in the background). This entry was posted in Milwaukee, Photography and tagged Downtown Milwaukee, Grohmann Museum, sunset. Bookmark the permalink.